The name “Minnesota” comes from the Dakota Indian name “Minisota,” which means sky-tinted water. It is also known as the “Land of 10,00 Lakes”. A 2014 issue of Money Magazine ranked three Minnesota cities the best to live in: Maple Grove (#2), Eagan (#11) and Woodbury(#12). In 2014 the Economic Cooperation and Development (OECD) put the states of Minnesota and New Hampshire as top-scoring places to live in the US. In 2014 WalletHub ranked Minnesota the third safest place to live in the US. The Minnesota Department of Natural Resources Division of Parks and Trails system includes 67 state parks and 9 recreation areas, 8 waysides, 13 state trails, and 62 state forest campgrounds and day-use areas. 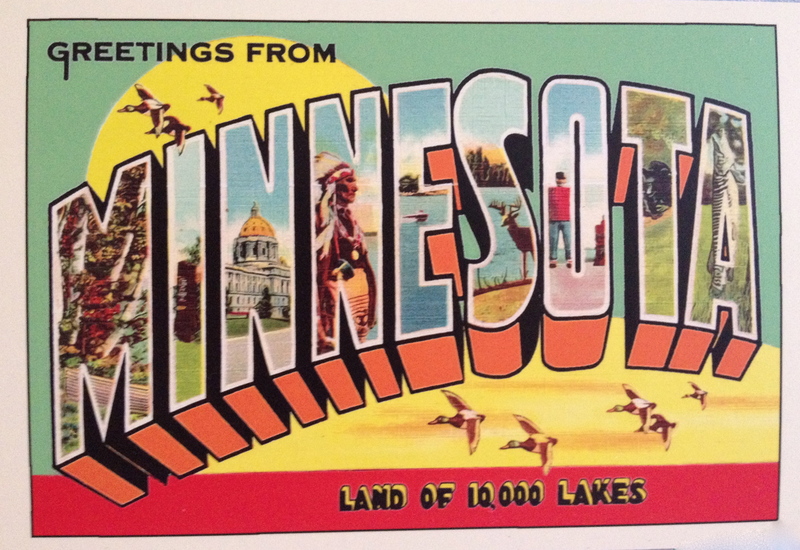 Minnesota has 90,000 miles of shoreline, more than California, Florida and Hawaii combined. There is one boat for every six residents (Minnesota is ranked first in the nation). Minneapolis has more golfers per capita than any other city in the country. The Guthrie Theater is the largest regional playhouse in the country. Downtown Minneapolis is home to the World’s largest continuous network of skyways. The Minneapolis Skyway System spans 8 miles (13 km) and connects over 69 city blocks. It allows people to walk in a climate-controlled environment without the need to go outside to go from building to building. Some noted Minnesota inventions are: the pacemaker, oxygen mask, masking tape, Wheaties, Aveda cosmetics, Stapler, Water Skies, pop-up toaster, Rollerblades, Tonka Trucks, Snowblower, Automatic retractable seat belts and much more. Some noted famous Minnesotans are: Judy Garland, Loni Anderson, Louie Anderson, The Cohen Brothers, Vice Vaughn, Cheryl Tiegs, Winona Ryder, Jessica Lange, Peter Krause, T.R Knight, Craig Kilborn, Tippi Hendren, Josh Hartnett, and many more.